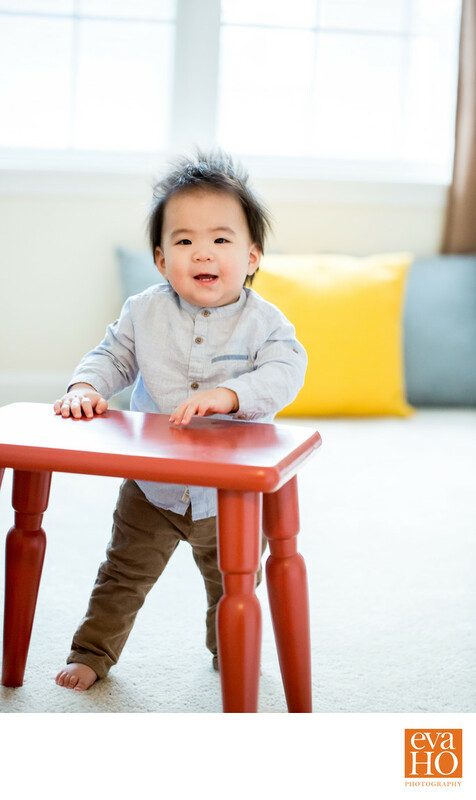 At one-year, your baby (or toddler??) will probably start to pull up by himself/herself and some may even start taking a few steps without assistance. It is so much joy to see them learning and growing. You can see the glow in his/her eyes when they take those first steps like a lightbulb just lighten up in their little heads, and your excitement will encourage them to take more steps. Soon they will be running and not looking back (insert sad face). That is exactly why this milestone is such an important moment to photograph as a newborn and baby photographer.